Pelham Art Center – December Workshop Series Jewelry Making, Cold Casting, Printmaking, and Holiday fun! Registration Now Open! Discover exciting workshops at the Pelham Art Center! The month of December will focus entirely on workshops for adults, teens and families. Interested in casting, printmaking, knitting, jewelry making? 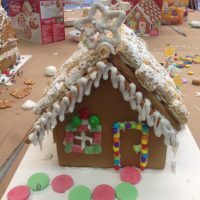 Want to make something unique for the holidays with the family; like a new handmade ornament, pop up card, centerpiece or gingerbread house? These workshops are perfect for busy people who can’t commit to a semester but want to try something new with art. Come create with us at the Art Center. Jewelry Making (Metal + Clay), December 4-6 – 3:30pm – 5:30pm, will explore three different techniques for creating your own jewelry and ways to repurpose your broken pieces. Create metal and ceramic pendants and learn stringing and wrapping techniques. Knit a Gift, December 6-8 – 11am – 1pm, is for the knitting enthusiast to create hand crafted gifts for the holidays using slipped stitches with the guidance of an expert. Alternative Printmaking, December 11-13 – 3:30pm – 5:30pm, you can learn the basics of printmaking, experimental monotypes and how to create multiples with hand embellished details. Computer Literacy for Artists, December 12-14 -12:30pm – 3:30pm, teaches artist how to get tech savvy and confident in the technical world. Cold Casting, December 18-20 – 3:30pm – 5:30pm, will focus on simple bas relief reproductions or 3D representations of materials such as natural objects, favored keepsakes, and mementos. Feeling festive for the holiday season? Come take in the scent of fresh evergreens and make your own decorations. Wreath Making (November 30 – 4pm – 6pm) and Winter Centerpieces (December 21 – 3:30pm – 5:30pm) is a great place to get into the holiday swing. Build and weave your own wreath of fresh evergreens with custom bows. Arrange lively centerpieces with fresh greens and a bit of sparkle to add to your holiday cheers. Family Holiday Pop-up Cards, December 8 – 10am -12pm, create 3D pop-up cards to give to your loved ones and share the fun. Ornament Making – Up-Cycled Trees, also December 8 – 1pm-3pm, involves making environmentally friendly/up-cycled tree ornaments for the season. You might be inspired to create your own forest! 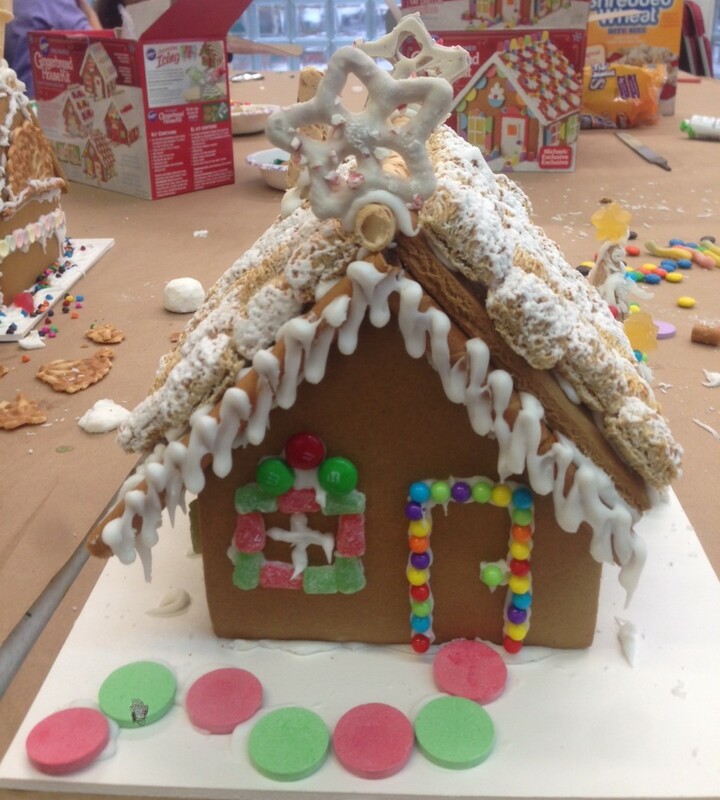 Family Gingerbread House, December 15 – 12:30pm -2:30pm (alternate session 3pm -5pm), is back! Customize your candy land dream home with sweet architectural details using CANDY! Also December 15, Puppet Ornaments (12:30pm -2:30pm alternate session 3pm -5pm), celebrates the Nutcracker. Create your own lightweight movable paper dolls, a delightful addition to your décor. For questions, fees, and registration please call the Pelham Art Center 914-738-2525 or email [email protected] We are open Monday – Friday 10am -5pm and Saturdays 10-4pm if you would like to come visit! Register online too! 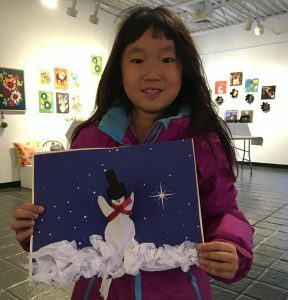 Pelham Art Center is a nonproﬁt educational and cultural institution committed to providing public access to see, study and experience the arts, foster lifelong arts appreciation and thereby strengthen the community. The Art Center was founded in 1970 and now serves more than 16,000 people each year. These events and programs are made possible, in part, by ArtsWestchester with funds from Westchester County Government. Pelham Art Center also receives funding from: New York State Council on the Arts, A State Agency; Gannett Foundation; The Robert Goelet Foundation; The James and Eugene E. White Family Foundation; Westchester Community Foundation; McClellan Sotheby’s International Realty; ArtEffects; Town of Pelham;; Members and Annual Fund Donors. « Summer Camps and Class Registration Now Open! This entry was posted in Press Releases and tagged Family-Friendly, workshops. Bookmark the permalink.